Rubber material for stamping. Cuts with little force, using any tools. No bench hook needed. 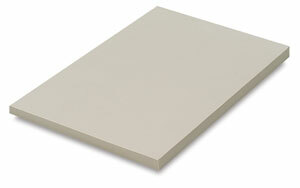 Block thickness (1/4") allows both sides to be cut (providing 2 printing surfaces). For water-base inks only.